"Come, there are other worlds than these" - Stephen King wrote in "The Dark Tower." One of the most interesting topics to be discussed is the fact that our reality - our universe as we perceive it - may not be the only version of events.Perhaps there are other universes; perhaps they have their own versions, which occur in other events and make other decisions - a kind of multiverse. US astronomical community regularly discusses parallel worlds, fantastic, or their scientific aspects and meets annually. At the last meeting it held about parallel worlds Max Tegmark, known astrophysicist. The universe, which it sees the most powerful telescopes (even in theory), huge, large and massive. Together with photons and neutrinos, it contains about 10 ^ 90 particles crumpled and grouped together with the hundreds of billions or trillions of galaxies. 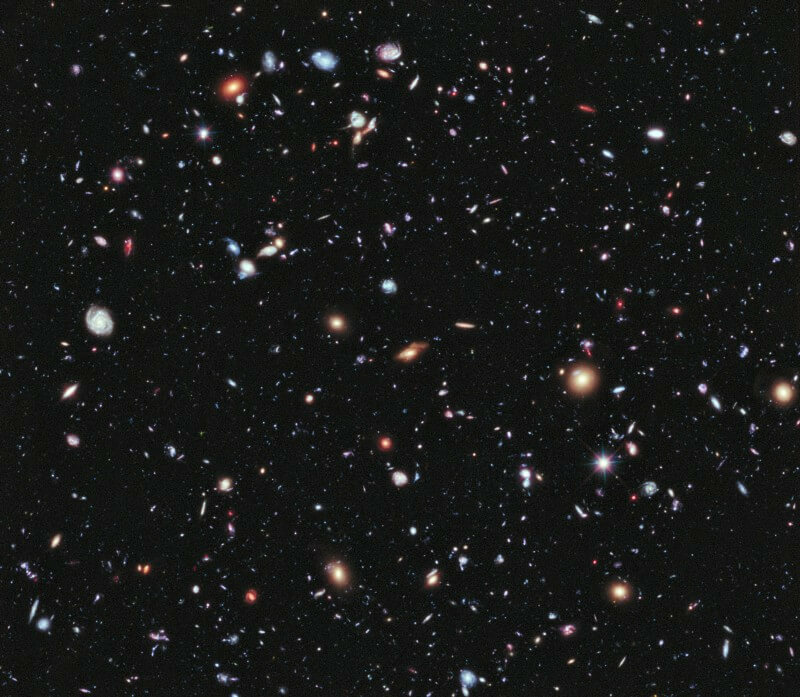 In each of these galaxies a trillion stars (average), and they are scattered in space in about 92 billion light-years in diameter, from our point of view. But despite the fact that intuition tells us, it all does not mean that we are in the center of a finite universe. In fact, all the evidence suggests quite the opposite. The reason that the universe seems to end for us - the reason that we can not see beyond a certain distance - does not consist in the fact that the universe is finite, but rather in the fact that in its present state of the universe there is a certain time.You should know that the Universe is not constant in time and space, and has evolved from a more uniform, dense and hot to cold, heterogeneous and blurred by now. As a result, we have a rich universe, full of many generations of stars, ultra-cold residual background radiation away from us galaxies and limits, limiting our vision.These limits are established by the distance that the light has passed since the Big Bang. And this, as you know, does not mean that outside the visible universe there is nothing. We have every reason to believe, from both a theoretical and empirical point of view, that outside there are a lot of visible and invisible even an infinite number. Experimentally, we can measure several variables of interest, including the spatial curvature of the universe, its smoothness and uniformity in the temperature and density plans and its evolution with time. We discovered that the universe is relatively flat spatially and relatively uniform in its scope that goes beyond the visible to us; perhaps our universe is part of another universe, very similar to our own, but stretched to hundreds of billions of light years in all directions, what we do not see. However, in theory, all the more interesting. We can extrapolate from the Big Bang and reach back even to its extremely hot, dense, expanding the state or even to an infinitely hot and dense state, and even further - to the very first moments of its existence - to the phase that preceded the Big Bang. This phase, the period of cosmological inflation, describes the phase of the universe, where instead of a universe filled with matter and radiation, the universe was filled with the energy inherent in space itself: in a state that leads to the expansion of the universe exponentially. That is not the universe expanded gradually with a leisurely over time, and at two, four, six, eight times faster - the farther from the center, the more progress. As this expansion was not only exponentially, but also very fast, "doubling" occurred with a periodicity of 10 ^ -35 seconds. That is, as soon as is 10 ^ -34 seconds, the universe was already 1000 times the original size; another 10 ^ -33 seconds - the universe has 10 ~ 30 times the original size; the time had passed 10 ^ -32 seconds, the universe was 10 ^ 300 times larger than the original size, and so on. Exhibitor - powerful thing, not because fast, but because persistent. It is obvious that the universe is expanding is not always this way - we're here, inflation ended, the Big Bang took place. We can imagine the inflation as the ball rolls off the gently sloping. While the ball is at the top of the hill, it rolls, though slowly, inflation continues. When the ball rolled into the valley, inflation ends, the energy of the space is converted into matter and radiation; inflationary state flows into the hot Big Bang. Before we get to what we do not know about inflation, it should be said that we know about it. Inflation does not look like a ball - which rolls on the classical field - it's more wave propagating in time, like a quantum field. This means that as time goes on, the more space is created in the process of inflation, and in some areas, from the perspective of probability, inflation ends, while others continued. Regions where inflation ends, experiencing the Big Bang birth of the universe and watch while other regions continue to experience inflation. With the passage of time, because of the dynamics of enlargement, regions where inflation is over, never collide and do not interact; regions, in which inflation continues, pushing each other, interact. That is exactly what we are waiting to see, based on the known laws of physics and observed events that exist in our universe, who will tell us about the inflationary conditions. Some things, however, we do not know, that gives rise to uncertainties and probabilities simultaneously. We do not know how long inflation lasted condition is not over and has not passed in the Big Bang. 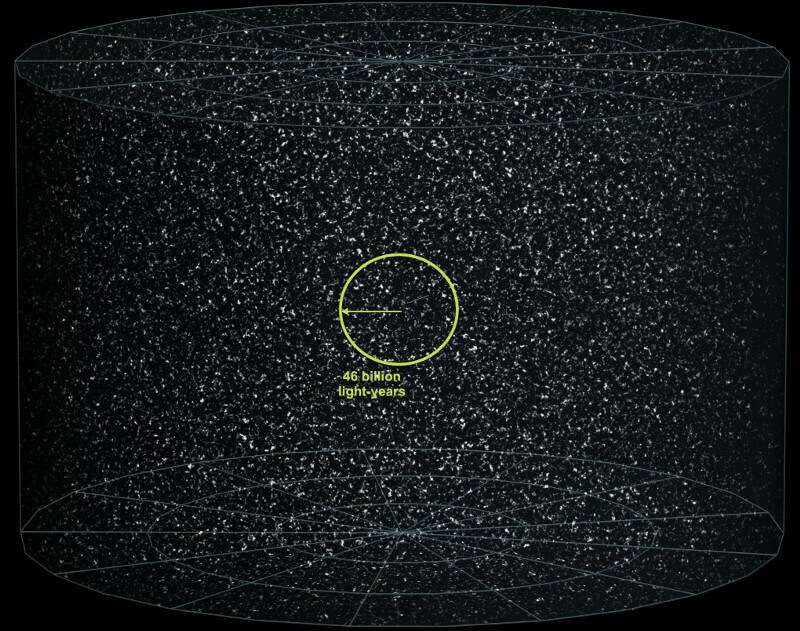 The universe may be slightly smaller than the observed, can be many orders of magnitude greater, or even infinite. We do not know whether the regions where inflation is completed, the same or quite different from ours. There is an assumption that there are (unknown) physical dynamics that result in fundamental constants in line - particle mass, strength of fundamental interactions, the amount of dark energy - such as those in our region. But there is an assumption that in different regions as over inflation can be very different universes, with different types of physics and constants. And if the universe resemble each other in terms of physics, and the number of the universe is infinite, and the many-worlds interpretation of quantum mechanics is absolutely true, does that mean that there are parallel universes in which everything develops in the same way as in our own, except for one -uniqueness tiny quantum event? In short, whether there can be such our universe in which everything happened exactly the same, except for one tiny thing that dramatically changed the lives of your alter ego in another universe? Where do you have left to work abroad, but did not stay in the country? Where do you beat the robber, but he is not you? Where you have given up the first kiss? Where event that determined life or death matter anyway? It's incredible: there may be a universe for each of the possible scenarios. 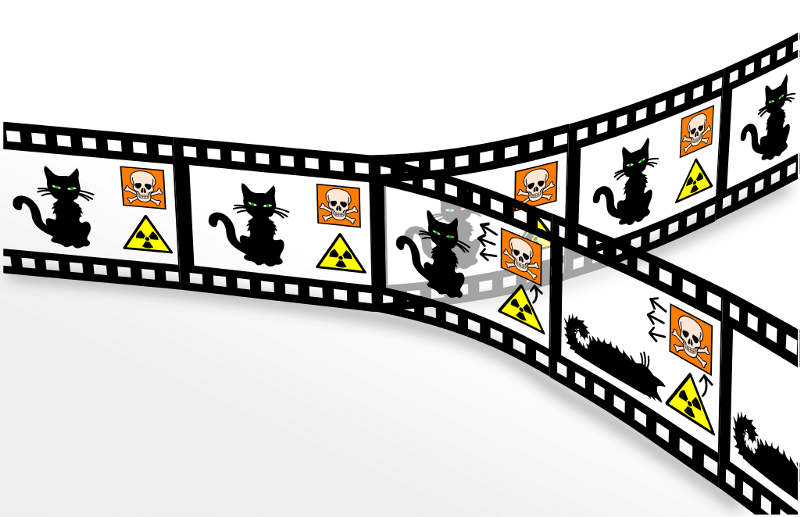 There are even non-zero probability of the universe, exactly copying our. However, there are many reservations to avoid that. Firstly, inflationary state was not continue only 13.8 billion years - in our universe - and for an unlimited amount of time. Why is that? If the universe is expanding exponentially - not for the shortest fraction of a second, and for 13.8 billion years (4 x 10 ^ 17 seconds) - we are talking about the huge space. That is, even if there are regions where inflation is over, most of the universe will represent the regions in which it continues. 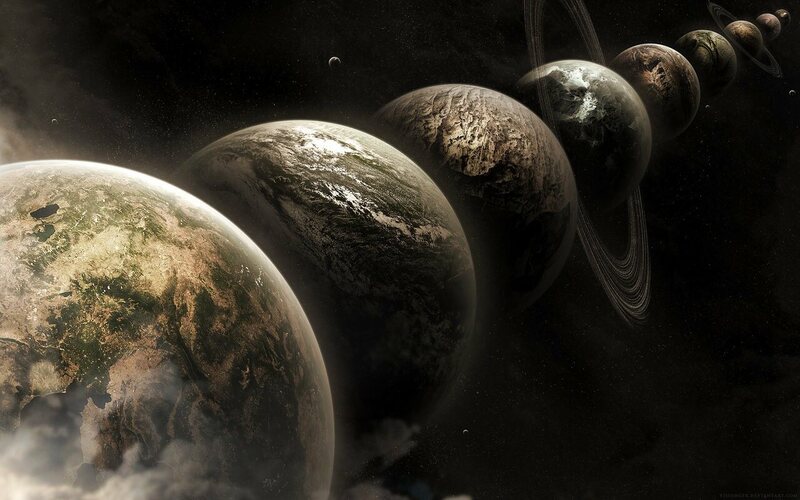 Therefore, we will deal with at least 10 ^ 10 ^ 50 universes, which started with the initial conditions, like our universe. This is a huge number. And yet, there are numbers and more. For example, if we take the probability to describe the possible interaction of the particles. 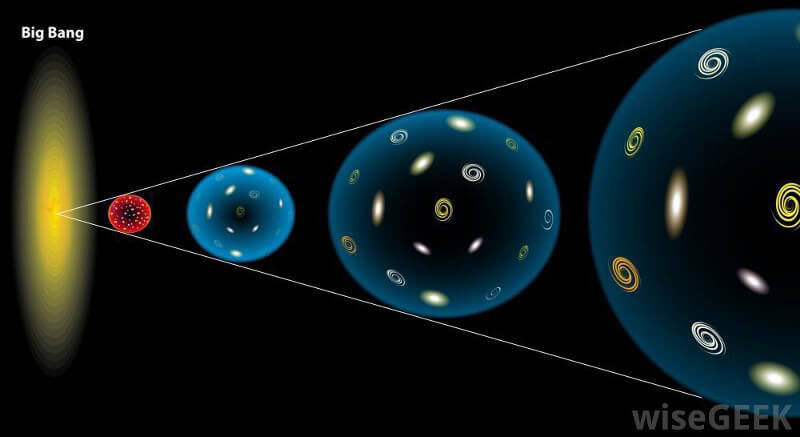 In each universe 10 ^ 90 particles, and we need to have each of them has been the same story for the interaction of 13.8 billion years, that of our universe to get an identical universe. For a universe with 10 ^ 90 ^ 10 particles with 10 ^ 50 possible options for such a universe you need to each the particle to interact with others over 13.8 billion years. The number that you see above, it's just 1000! (Or (10 ^ 3)!) 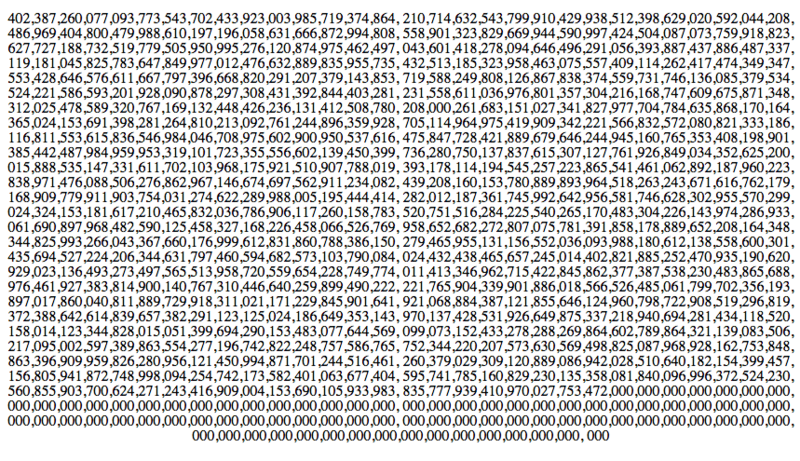 Factorial 1000, describing the number of possible permutations of the different particles 1000 at any time. (10 ^ 3)! greater than (10 ^ 1000), something around 10 ^ 2477. But in the universe of particles in 1000, and 10 ^ 90. Whenever two particles interact with each other, can be not only one result, and a quantum spectrum results. It turns out there's a lot more than (10 ^ 90)! possible outcomes of the interaction of particles in the universe, and this number is many times higher googolplex insignificant number like 10 ^ 10 ^ 50. In other words, the number of possible variants of interaction of particles in the universe any increases to infinity much faster than the number of possible universes as a result of inflation. Even if you put aside these moments that can be an infinite number of values ​​of the fundamental constants of particles and interactions, even if you put the problem of interpretation, they say, describes the many-worlds interpretation whether our physical reality, in principle, it all comes down to the fact that the number of possible variants of development is growing so fast - much faster than exponentially - that if inflation does not continue indefinitely, parallel universes identical to ours, does not exist. The theorem on the singularity tells us that the most likely inflationary state could not last an infinite amount of time, and emerged as a distant, but the end point in the past. 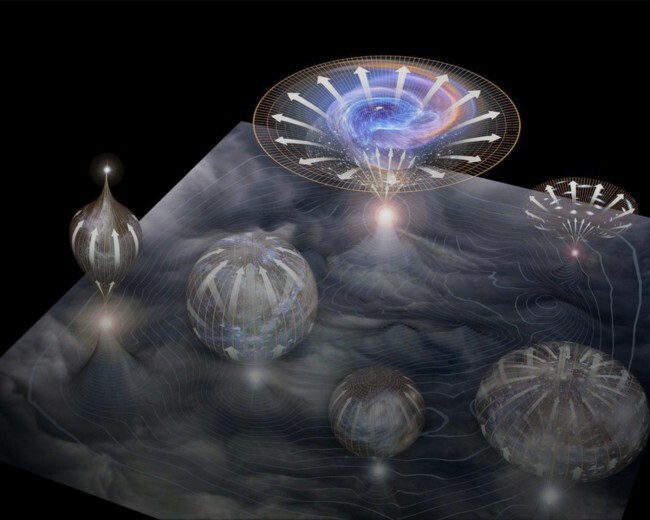 There are many universes - perhaps with other laws, and maybe not - but they are not enough to give us an alternative version of ourselves; the number of options is growing too fast compared to the speed of possible universes. This means that you have no choice but in this universe. Make decisions without regret: doing things you love, know how to fend for themselves, live to the fullest.There are no other universes with other versions of you and there is no future, moreover, for which you live.